Oakland Park is a city found in Broward County, Florida with a population of about 43,800 residents. It's found right in between Pompano Beach and Fort Lauderdale, which are to very popular tourist destinations. The city is a part of the South Florida Metro area, which has a population of more than 5.6 million residents. Along with the millions of residents, this area of Florida is visited by millions from all across the globe. While some visitors do drive to the area, many rent vehicles and crowd the highways with unique driving styles. Visitors also tend to be very unfamiliar with the road, which can lead to issues, as well. Interstate 95 runs directly through Oakland Park. The Florida portion of I-95 has been named as the most deadly highway in the United States based on fatalities. Over 186,000 vehicles travel along I-95 in Florida every single day. Broward County experiences over 25,000 traffic crashes every single year with many leading to injuries. More than 150 people die due to a traffic accident in Broward County every single year. Crash statistics in both Oakland Park and Broward County are on the rise. Law enforcement agencies are tasked with monitoring the roads and making sure highways remain safe in the area. If they didn't do their job, these stats would be far worse. After tallying up the number of tickets given out to drivers in Broward County for 2015, the number was more than 190,000. Nearly half of the tickets were for drivers caught at speeds over the posted limit. Another 18,000 were caught driving recklessly and 15,000 more drivers ran red lights or stop sights. These offenses often lead to accidents and they are very dangerous. 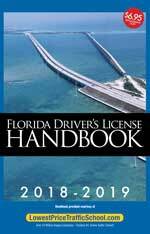 A license suspension is issued when a driver receives 12 points in 12 months, 18 points in 18 months or 24 points in 36 months on their Florida driver's license. Points come from traffic tickets and range from 3 to 6 points per ticket. The worse the offense, the higher the points and the close you will be to a license suspension. With just a few tickets in a short amount of time, you may be standing in front of a judge as your driver's license is suspended. Avoid points on your license can be done with traffic school in Oakland Park. The basic driver improvement course allows you to erase the points from your most recent ticket. All you have to do is pay the fine, enroll in online traffic school, complete the course and turn your certificate of completion into the clerk of the court. It won't get you out of paying the ticket, but it will save you from having points added to your license and from paying higher insurance rates. 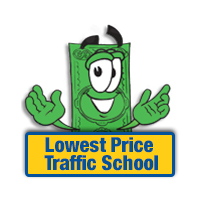 Traffic school can be taken right online at your convenience. You can enroll in the basic driver improvement course and finish it when you're ready without needing to go anywhere or sit in a classroom with others. You get to attend traffic school 5 times to avoid points on your license. This option can be used once every 12 months. If you haven't taken the basic driver improvement course in at least 12 months or five times in your lifetimes, you should be eligible. When an officer issues you a traffic ticket in Oakland Park, the payment will be handled by the Broward County Clerk of the Court. Make sure you inform the clerk of the court if you wish to attend traffic school. You will also turn in your certificate of completion to the clerk of the court. For more information about the Broward County Clerk of the Court, you can visit their website.